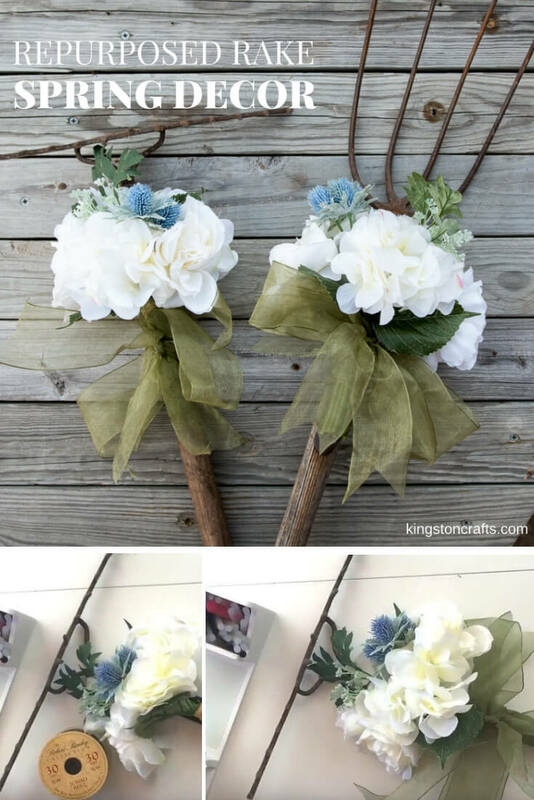 With a flower bundle and some ribbon, you can turn any old rake into some fresh looking spring decor for your front porch or home! A $1 yard sale rake (and its pitchfork buddy) and a few 40% off stem bundles from Michaels make the EASIEST Spring decor project I think I’ve ever done! 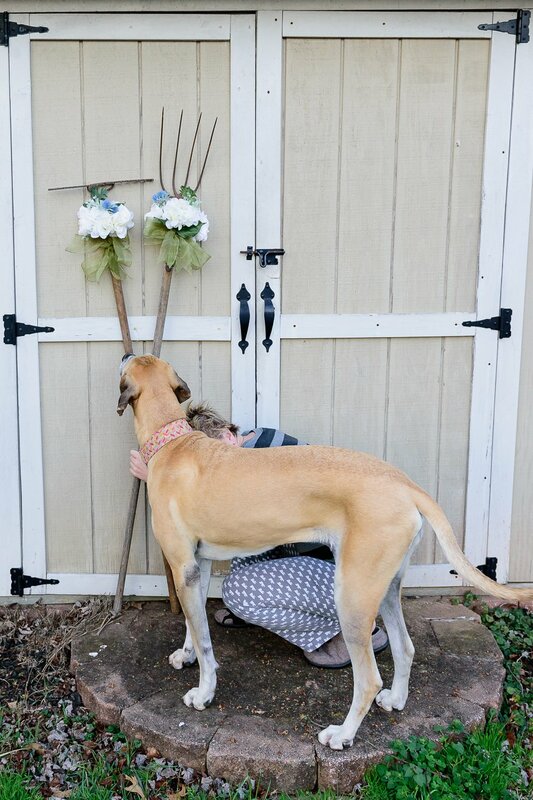 Why buy the stem bundles instead of loose floral stems? Flower arranging is not my strength, so picking up a few of these pre-“assembled” bundles saves me a TON of time. They are also cut shorter so I don’t have to trim anything before gluing them on to the rake! And just so you don’t think I am getting too fancy…this in-process photo epitomizes my creative life. I haven’t showered in two days (I mean – look at my hair! ), I am still wearing my pajamas, I am trying to hold the rakes still and stay out of the way so Don can get the photo, and Bizzy Bee is supervising the whole ridiculous mess. This is classic Kingstons!